Recreation experts have long recommended a mouth protector as an important piece of safety equipment. Without one, an athlete on the playing field runs the risk of acquiring a toothless grin! 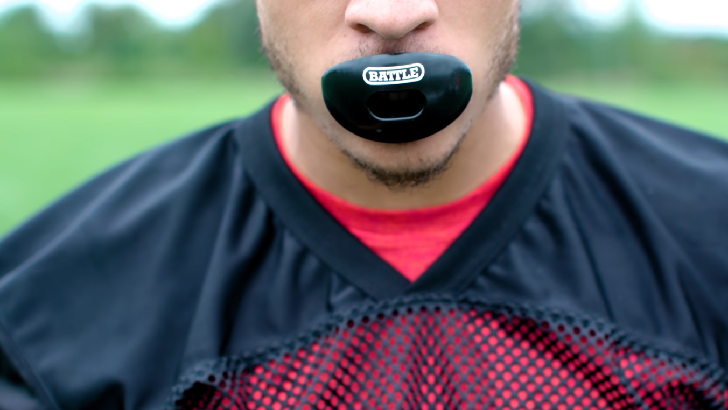 You’ve probably seen mouth protectors used in contact sports, such as hockey, football, and boxing. Coaches and team members know that mouth protectors cushion blows that would otherwise cause broken teeth, injuries to the lips and face, and sometimes even jaw fractures. A pre-fabricated mouth guard can be purchased at stores, these mouth guards are often only offered in a general size offering. With good dental care your teeth can stay clean and strong and your gums healthy for many years - and many more smiles- to come!